Sheybut's daughter produces vodka in Donetsk. Former head of the tax police and deputy chief of State Migration Service, Viktor Sheybut is a suspected sponsor of the "DPR", says the head of staff of the Security Service of Ukraine, Oleksandr Tkachuk. "It has been established that a former Yanukovych official was involved in the financing of a terrorist organization. He has held top post in the tax service and was close to the then Prime Minister Azarov. His name is Viktor Sheybut," Tkachuk told reporters on Thursday, 27 April. His daughter, Ekaterina Sheybut is now controlling a distillery in Donetsk. 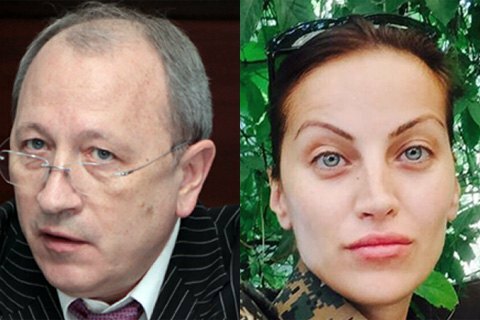 Her company Katya Plus pays taxes to the "DNR" and provides financial assistance to the "Zakharchenko Foundation". On April 27, the SBU searched the premises and bank cells belonging to the Sheybuts and seized 1 million dollars in cash, 130 thousand euros, and up to 1 kg in gold bullions. Law enforcers launched a probe on the charges of financing of separatism against Sheybut, who may be looking at 8 to 10 years in prison if proven. Sheybut has long worked in the tax authorities of Ukraine. In 2002–2004, he was in charge of a group of advisors to the then first vice-premier Mykola Azarov. In March 2010, Sheybut was appointed head of the tax police, and in December of that year he became the first deputy of the State Migration Service. He retained the post until April 2014. Sheybut survived a plane crash at the Chaika airfield near Kyiv as he took flying lessons.